Gregory C. "Greg" Sowell teaches a class on practical considerations for solo and small firm law practice as an adjunct professor. He practices law in Athens with the firm of Cook & Tolley, where he handles matters related to business, local government and probate. He represents the Unified Government of Athens-Clarke County in all of its claims and litigation, and he serves as a special assistant attorney general for the Georgia Department of Transportation. He has often been appointed by the Superior Court of Athens-Clarke County as special master in title to land issues. He served as the senior director of law school advancement from 2012 to 2015, when he worked to secure private financial resources needed to support the law school's mission and to continue Georgia Law's advancement in the ranks of the nation's top law schools. Previously, Sowell had a successful 29-year law practice in Tifton, Georgia, that included a wide range of matters but which focused on issues related to business and local government. Sowell represented the city of Tifton for more than 20 years and also served as counsel for the board of education and for the industrial development authority. A former municipal judge, he also handled matters for the state of Georgia as a special assistant attorney general for the Georgia Department of Human Resources. He was closing counsel for many bond and commercial loan packages. He also taught business law for many years as an adjunct professor at Abraham Baldwin Agricultural College (ABAC). Additionally, he served 10 consecutive years on the school's Law School Association Council, assuming multiple leadership roles including three years as chairman of the development committee, treasurer, president-elect, president and immediate past president. Sowell is a former member of the Board of Governors of the State Bar of Georgia. 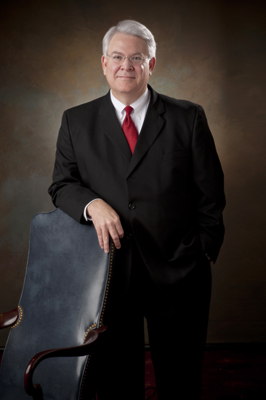 He also served on the Disciplinary Board of the State Bar by appointment of the Georgia Supreme Court. An AV rated attorney, Sowell is experienced in alternative dispute resolution as a mediator and has often served as special master in condemnation proceedings. He has served as chair of the bar's Member Benefits Committee, and he is an inaugural member of the Main Street Lawyers Committee. Additionally, he chaired the Institute of Continuing Legal Education's first seminar on main street lawyering. He is also a member of the Lawyers Foundation of Georgia, the Lawyers Club of Atlanta and the Old War Horse Lawyers Club. Sowell earned both his Bachelor of Business Administration and Juris Doctor from UGA. While a student at Georgia Law, Sowell represented the law school in moot court team competition. Additionally, he completed Harvard Law School's Program of Instruction for Lawyers in 2000.